When Foursquare’s phenomenal growth hit the papers, everybody started looking for a reason. We analyze what worked and what didn’t. When Foursquare’s phenomenal growth hit the papers, everybody started looking for a reason. Why would anybody want to check in his location on a phone? It was widely attributed to their badges and rewards. While checking in had some value per se by letting others know where you are or keeping a bookmark of that place, Foursquare encouraged users to play: you can become the mayor of places you visit often (competing against other users), and you can obtain badges for different events (super-user, crunked, adventurer, etc). As with every success story, others tried to understand and emulate. Researchers dug into the topic, attracting mass media’s interest. Blog posts and talks covered the topic of “gamification”, the most famous being Jesse Schell’s “when games invade real life” talk and SCVNGR’s presentation. Considerable buzz about it is still going on. Startups were founded around the concept of adding game mechanics into existing products, and making them engaging and even addictive. Gamification was presented as the panacea to engage users, often assuming somebody will do something just because there are gaming principles behind it – regardless of the task being meaningful to the user or not. Thanks to this wave of interest, a lot of attention is now being paid to engagement and how to make everyday tasks more enjoyable. However, it’s nothing but a way to enhance something that is already meaningful for a user. Users don’t come for the game, they don’t use your product because of the game. They use it because it’s meaningful for them, whether it’s personally valuable or just something they have to do (like taking out the trash or taking support calls). And gamification can only make it easier to do that. But so can good design, ease of use, and flexibility. We’ve already gone through all this with social. When it popped up, it seemed to be the solution to all engagement problems. Users don’t like your software? Just add some social features! Instead of understanding why users could benefit from social interaction (the need), and how that translated into features (the solution), products have been copying the results and hoping that will bring them the same result as it did to Facebook or Foursquare. And so it is that we find “Like” or “Tweet” buttons in the strangest contexts, and we are now starting to see Badges, Points and Rewards in features completely unrelated to the real usage of a software. A cargo cult is a religious practice that appeared in many tribal societies after their first interactions with our cultures. The cults focus on obtaining the material wealth (the “cargo”) of the advanced culture through magic and religious rituals and practices. Cargo cult activity in the Pacific region increased immediately after World War II when the residents of these regions observed the Japanese and American combatants bringing in large amounts of material. When the war ended, the military bases closed and the flow of goods and materials ceased. In an attempt to attract further deliveries of goods, followers of the cults engaged in ritualistic practices mimicking the behaviour that they had observed of the military personnel operating them: setting up of mock airstrips, airports, offices, and dining rooms, as well as the fetishization and attempted construction of Western goods, such as radios made of coconuts and straw. 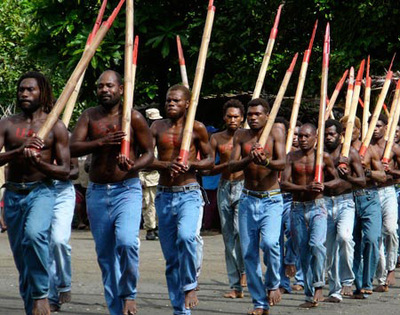 Believers may stage “drills” and “marches” with sticks for rifles and use military-style insignia and national insignia painted on their bodies to make them look like soldiers, thereby treating the activities of Western military personnel as rituals to be performed for the purpose of attracting the cargo. Gamification is the monosodium glutamate of engagement: a low cost alternative to building something genuinely compelling for your users. 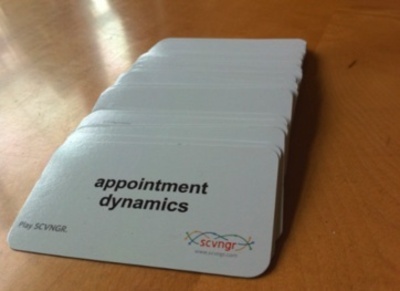 When I look at businesses that thrive, I see that gamification mattered for only some cases. Some were games (duh! ), others were things that people might have done anyways. Don’t let clever PR blind you, it’s just the right topic coming in the right moment. We are assuming that people will change their behavior for a game, wouldn’t we be much better off by really understanding what people want and how to make them better at doing what they want to do? Twitter doesn’t have game mechanics, and it’s truly engaging. Because users share things they care about, and Twitter does a great job getting out of the way and letting you do what you want to do. At Teambox users asked us if we’d be adding gaming features. We played with the idea, but nothing compelling came out of it. Instead, we dedicated our resources to a better, faster system. You can’t simply take somebody else’s features and hope that they will make you as successful as they’ve been. Because your product is not their product. And some product designers are ignoring all this, dooming their new releases to mediocrity and failure. This is a public service announcement to product designers: Understand what makes you unique and build on that Ask yourself if what you are building will be awesome for your users. They have a goal with your software, and you want to make it easy for them to reach that goal, not any other one. When you understand your problems and needs, you will come up with your own solutions, not someone else’s. You should totally follow me on Twitter: @micho.